Alice Clair Kimbler Hankla peacefully returned to the star dust from which she was made on January 30, 2019, from complications to heart surgery. Alice (or Kim, AC, or Doc) was special, truly special. She was curious, brilliant, loving, quirky, and, most of all, full of life. She was born on December 3, 1936 to Lois Hancock Kimbler and Nathaniel Omar Kimbler, and they raised her in Henderson and Frankfort, Kentucky. Both her parents were teachers, and her father founded the Teacher’s Retirement System in Kentucky. Alice graduated from Centre College in 1959 and was married to Robert H. Hankla (Bob) that same year. They both went off to Vanderbilt University to do their doctorates, and Alice became the first woman to receive a PhD in physics from that institution. Her specialty was nuclear physics, and her dissertation on neutron cross-sections is still cited today. She and Bob moved to Atlanta in 1965 when he took a job at Georgia State University. She taught at several universities in the Atlanta area and, in the early 1970s, chaired the Physics Department at Morehouse College. Alice and Bob had two sons: Allen (born 1967) and Charles (born 1975). Alice took time away from work to raise them, but still managed to develop and implement a full science curriculum for preschoolers at a time when most people thought that was a crazy idea. 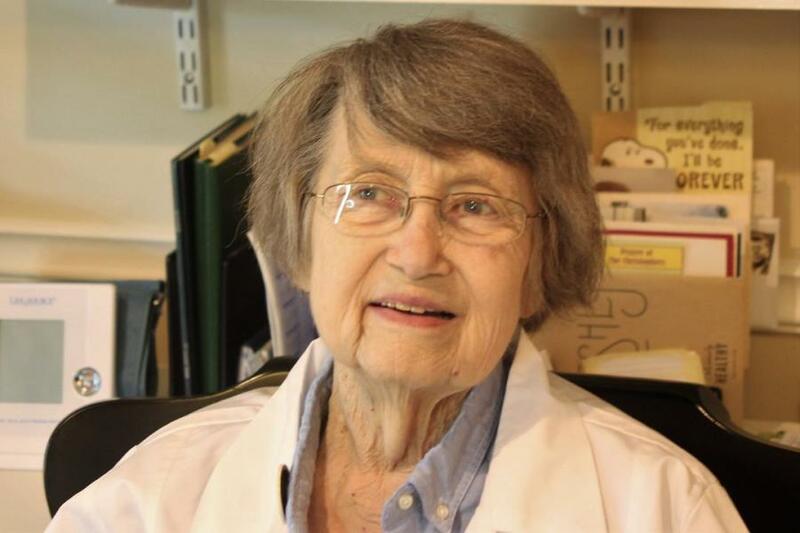 Starting in the early 1980s, Alice started teaching high school physics and calculus at the Galloway School in Atlanta, where she became affectionately known as "Doc". She taught there and chaired the math department for the next 20 years. Bob passed away suddenly in 1995, and it was a hard time for the family. Alice, though, courageously started anew at the age of 60 and met Gerald H. Davis (Jerry), a wonderful man who had been a colleague of Bob’s at Georgia State. They were married in 2001 and undertook many adventures together, including a trip from Moscow to Vladivostok on the Trans-Siberian Railroad and a semester traveling all over the South Pacific. They later became actively involved in Senior University and taught classes there on their adventures, among other things. Alice had a strong, tolerant Christian faith, one that combined harmoniously with her deep love of science and knowledge. She was a faithful member of several Methodist and Presbyterian congregations, including, for more than thirty years, Rehoboth Presbyterian in Decatur. At her death, she was a member of Shallowford Presbyterian in Atlanta. Alice is survived by her husband, two sons, two daughters-in-law, five grandchildren, seven step-children, four step-grandchildren, and many loving nephews, nieces, cousins, and friends, all of whom lit up her life. She is also survived by her students, publications, and the many textbooks that she edited, all of which embody Alice's desire to pass on her knowledge. Alice’s husband, Jerry Davis of Atlanta, is a retired history professor at Georgia State University. Her son Allen Kimbler Hankla and daughter-in-law Nina Logan Hankla live in Lafayette, Colorado, and her son Charles Robert Hankla and daughter-in-law Anne-Sophie Decouvelaere Hankla live in Atlanta. All four have careers in education, as she did. Allen and Nina have three children: Amelia, Charley, and Claire. They are all students in college or graduate school. Charles and Anne-Sophie have two children: Emilie, a high schooler, and Elizabeth, an elementary schooler. They were all deeply devoted to their grandmother. Alice also had a close relationship with her nephew, Warren Kimbler of Baton Rouge, Louisiana, and they formed a tight bond especially since the passing of his parents. Alice was preceded in death by her first husband Robert Hankla, a physics professor at Georgia State University, who passed away on October 6, 1995. Her ashes will be interred at a brief graveside service on Friday, February 8, at Hillcrest Cemetery at 2PM on Second Street, Perryville, Kentucky. 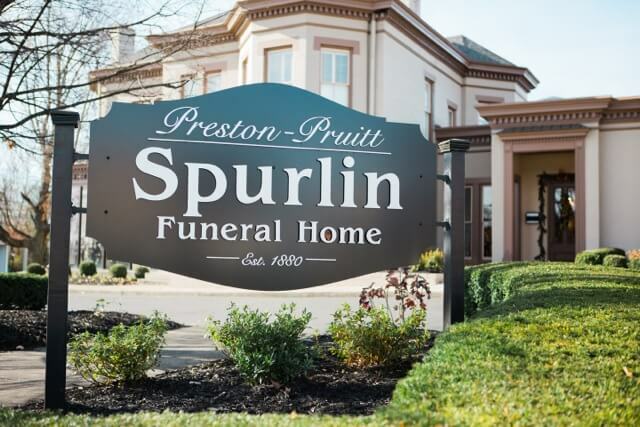 There will be a reception preceding the service at 12:00pm at Preston Pruitt Spurlin Funeral Home, 331 South Fourth Street, Danville, Kentucky. In lieu of flowers, donations can be made in Alice’s memory to Senior University of Greater Atlanta, PO Box 941338, Atlanta, GA 31141.